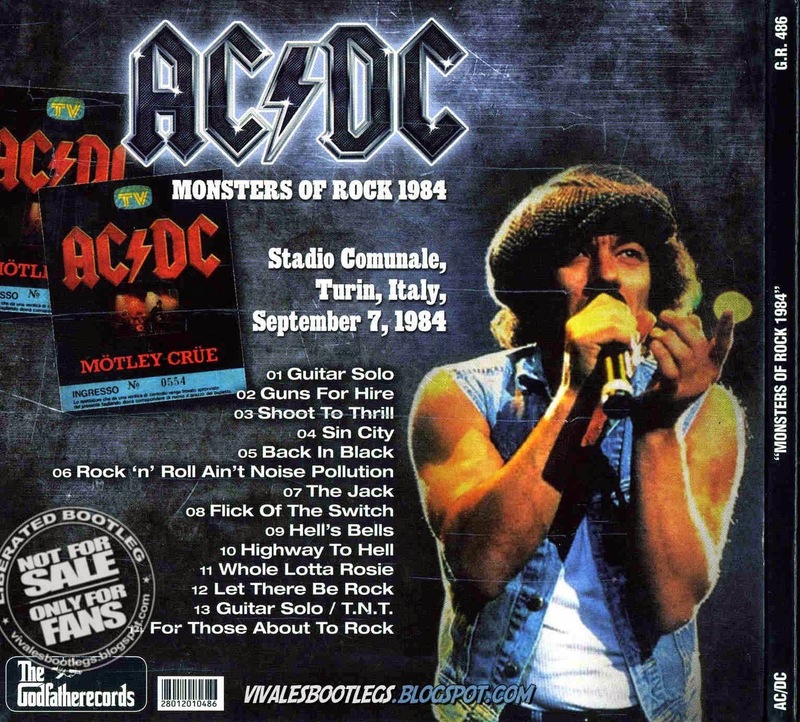 Recorded Live at Stadio Comunale, Turin, Italy - September 07, 1984. Files: 14.:: Size: 523.06 MB (flac). 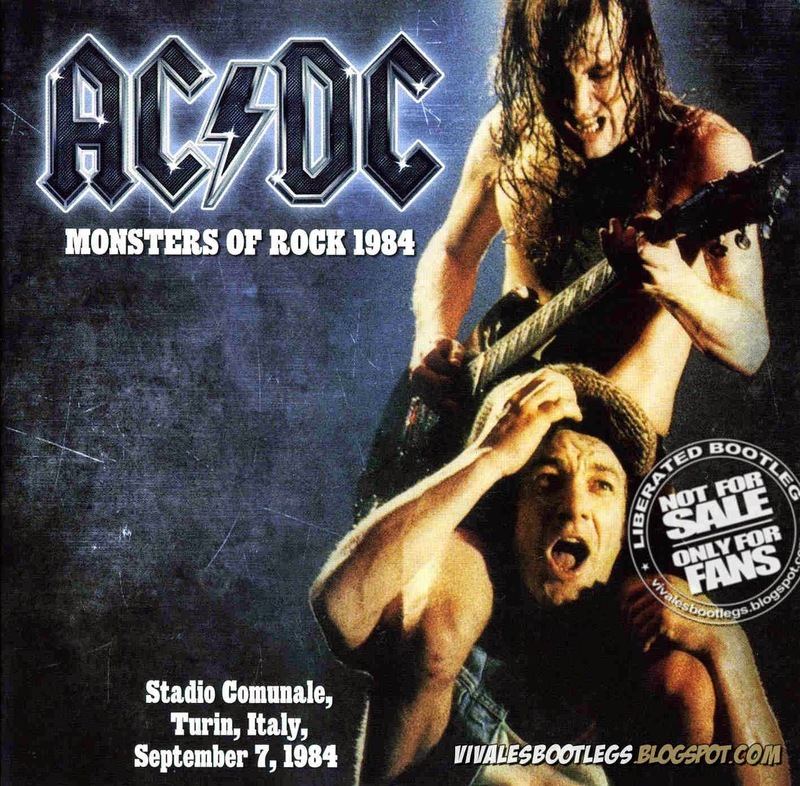 Personnel: Brian Johnson – lead vocals / Angus Young – lead guitar / Malcolm Young – rhythm guitar, backing vocals / Cliff Williams – bass guitar, backing vocals / Simon Wright – drums, percussion. Notes: The concert featured here was the seventh gig of the tour and is taken from a very good to excellent audience recording that captures the excitement and atmosphere of the concert giving the feeling of being there amongst the crowd. There is no crowd noise around the taper and the sound is even through out with all the instruments clear heard, there is a cut in the tape, between Rock ‘n’ Roll ain’t Noise Pollution and the Jack that sadly omits Bad Boy Boogie.